Note: the following profile apply to both Palsar 7 and Palsar 500. Location: All over Israel, depending on the location of the parent armored brigade. Primary mission: Long Range Reconnaissance Patrol (LRRP) unit for armored brigade (pathfinders for tank movements). Training: Primarily navigation and open field combat, but also demolition, mine clearing techniques and communications. Weapons: M16 M4 (the carbine version of the M16A2) usually with M203 grenade launcher for increased fire power, the Israeli Viper mine clearing system and Israeli Gill anti-tank missiles. Also each warrior carries one anti-tank LAW rocket. Note: from now on in the article when ever it’s written “the units” or “this units” it refers to both Palsar 500 and Palsar 7. The 7th and the 500th armored brigades are considered to be the most elite armored brigades in the Israel Defense Force (IDF). Both brigades have only Merkava Mark 3 type main battle tanks (which is considered as the finest and the newest battle tank in the Israeli arsenal). In a time of war, this brigades’ mission is to break through a siege on Israel, and then to penetrate deep into enemy lines. This is the reason why these are the only two armored brigades that have their own Long Range Reconnaissance Patrol (LRRP) units. both brigades are also facing north to the Israeli-Syrian front, which is the strategically the most important front. in their function, missions and training the two units are identical sister a like units, but they are completely separated from each other both in their actual war-time employment and in most of their training regime. The Palsars’ main function is to find, during a war, a safe path for the armored brigades to pass. Safe path means the chosen path must be free of anti-tank mines and counter armor enemy forces and also viable for tank movement. In war-time, the Palsars will some times be forced to make a safe lane: They will clear anti tank mines, blow up obstacles (boulders, burned vehicles, etc.). Some times the Palsars will even engage enemy forces, but only if the enemy unit is small, weak and in the way. But the units will rarely do so, and usually find a different path in order to maintain the element of surprise. The Palsars are pure and classic LRRP units. They don’t have any Counter Terrorism (CT) or Hostage Rescue Team (HRT) capabilities like most other Israeli SF units, and therefore lack the “fame” and “glory” that comes along with the higher profile CT/HRT units. But they are within the units who will determine the fate of future wars. The need for the Palsars was well proven in the 1973 Arab Israeli Yom Kippur War (a.k.a. the October war). In the bitter tank-to-tank engagements, that took placed in the Golan Heights, more than 29 Palsar members were killed and 7 more were badly injured. But by the end of the war, the Syrian armor was demolished and The Golan belongs to Israel to this very day. 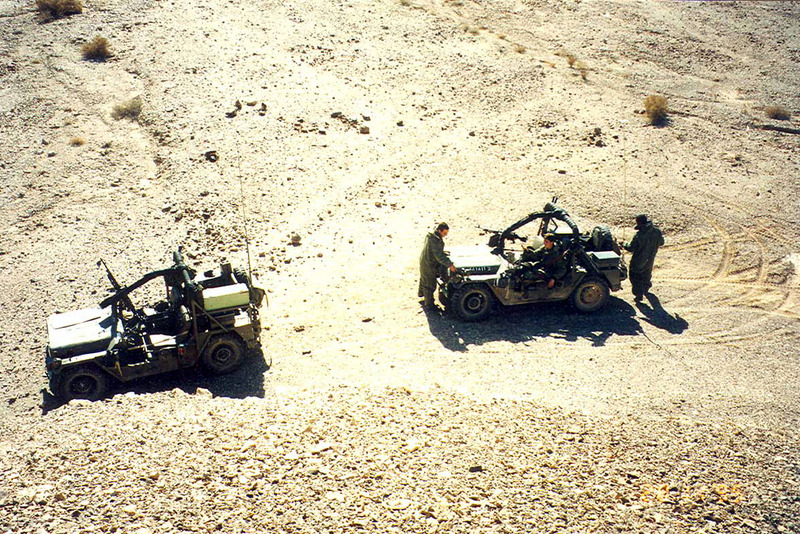 the units war-time strategic importance, was also shown when the IDF replace the old American M151 jeep, that were in service, to the newer Hummer jeeps, and the units were among the very first SF units to make the switch. The training period lasts 18 months. 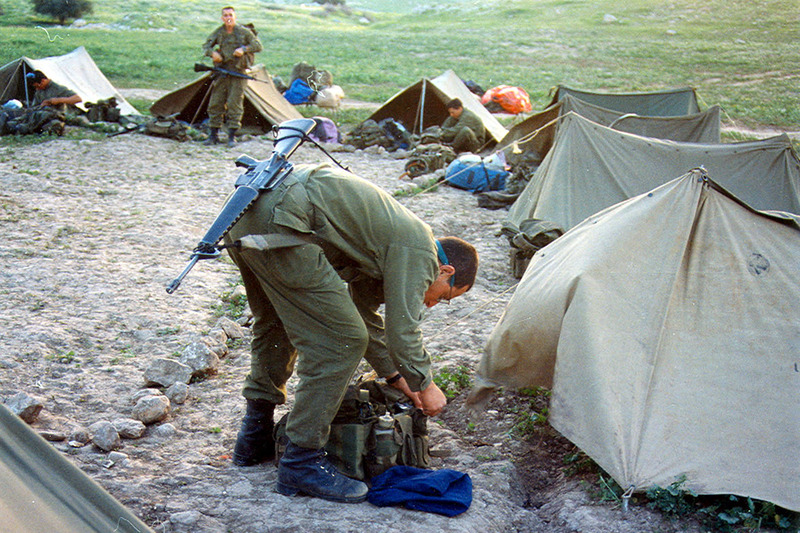 four month basic infantry training in the Mitkan Adam army base, the IDF’s special training facility. two months of advanced infantry training also held in the Mitkan Adam army base. These two stages are the only ones that are combined to Palsar 500 and Palsar 7. after finishing those two stages each of units goes to a separate base to conduct its own dedicated training. five months of reconnaissance and unit own specialize training including navigation, mine clearing techniques and basic anti-tank tactics. 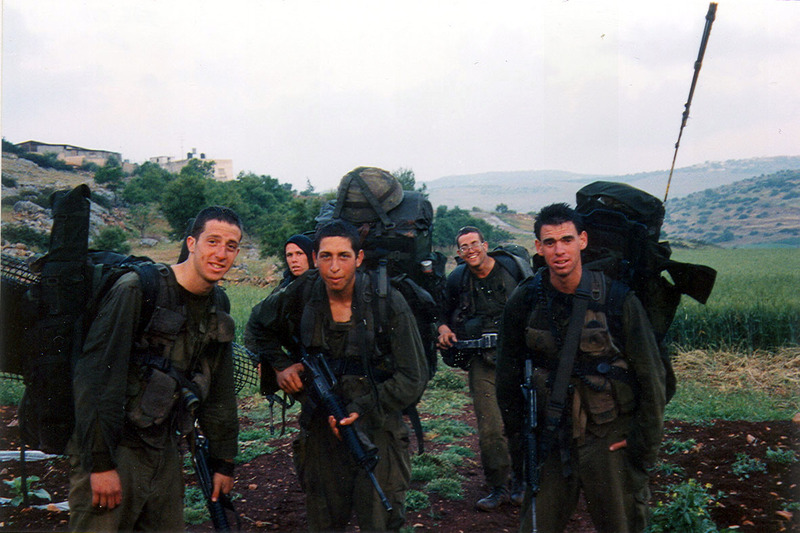 also included in this phase is a basic reconnaissance course held in the IDF’s intelligence and reconnaissance school (MOS) located in the BALSICH army base. Since they are also in charge on delivering real-time intelligence back to the armored brigades headquarters the units also have a very advanced intelligence gathering and Communications skills which are also included in this phase. two months of advanced reconnaissance course also held in MOS. four months of active duty operational activity (mainly in the south lebanon front). one months special forces non commissioned officers course held in the IDF’s infantry school (BILSACH). note: thanks to their intended month day/night, all-weather navigation training, the Palsars are considered to be the best navigating teams in Israel. This is why many of the units’ graduates later become instructors in MOS. The standard personal issue weapon in the Israeli SF community is the M16 M4 (the carbine version of the M16A2). since all of their activity is in open field, the M4 is usually configured with the Elbit Falcon optical sight (located in the front, on upper hand guard) and M203 40 mm grenade launcher for increased fire power. Also used are the M24 Sniper Weapons System (SWS) and Israeli Military Industries (IMI) Negev 5.56 mm Light Machine Gun (LMG). the m24 replace the old Israeli modified M14 SWS that was in service. During basic training, two other guys, Nimrod and Elai, and I were sent to take a course on driving a vehicle called a Zelda or NAGMASH, which in Hebrew was an acronym for armored personnel carrier. 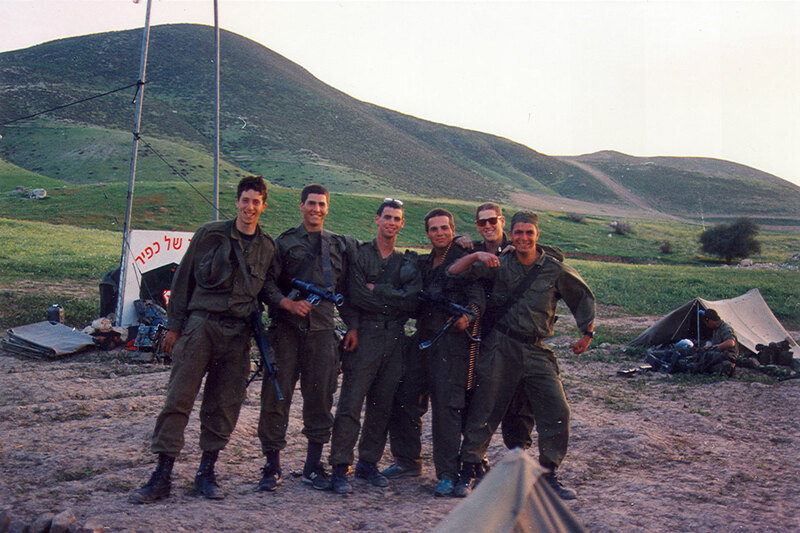 The course was in a base called BISLACH, in the south of Israel. BISLACH was another acronym which stood for infantry school. We arrived at a huge base in the middle of the desert with dozens of batteries of tents arranged in neat rows. Each battery represented a different course. Withing each battery were perhaps fifty of sixty tents each housing about twelve soldiers. There were tents sprawled over this huge, barren area, as far as the eye could see. There was a constant wind, and with it, a constant fine mist of sand. Everyone was covered in sand. The nostalgic feeling is washing over me now. To me, now, it seems like a scene out of an epic movie like Dr. Zhivago or, more appropriately, Lawrence of Arabia. That was a different life. I know it was my life, because I still feel it living in my insides, but certainly not the life I’m living now. Reconnaissance and Intelligence training was at a base in the Negev Desert. We spent 2 months there learning to navigate in and drive our jeeps. We also learned to identify all sorts of enemy troops and machinery. This picture is taken after a long morning run. Our officer would periodically declare someone wounded so that we could practice running with a stretcher. As usual, I’m the one taking the picture. The guy on the far-right is our officer, Eran. After 3 months of basic training, we went on to Advanced Basic Training–Tironut Yechida–in the Jordan Valley. We stayed there in a makeshift camp made of pup-tents (in the background). This was the most grueling 4 months of our training. 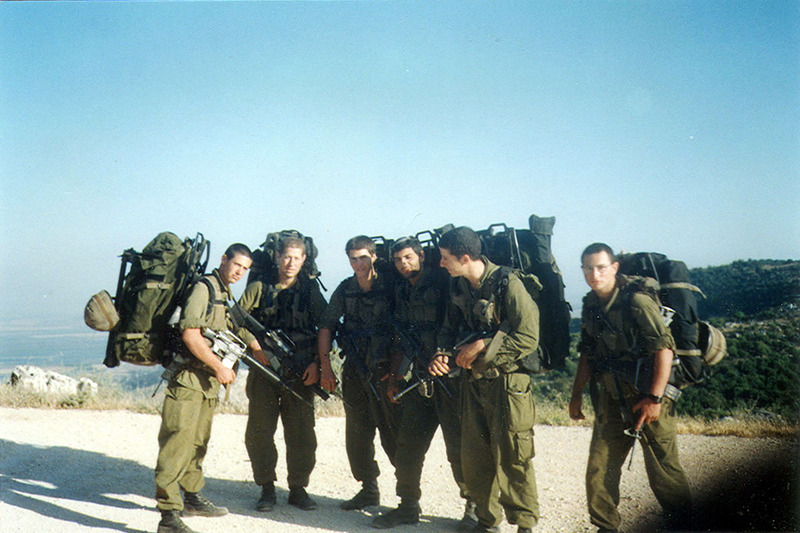 (Left to right) Noam Lindenbaum, Ofer Grembek, Eran Bider, Doodoo Michaeli, Dani Milatu, Nimrod Gafni carrying the heavy packs containing camouflage equipment and telescopes.